it was all fun when you get a pet for the first time (except for the potty training...). when i watched my puppy get his haircut, my heart melted. i asked the groomer to save his fur, so i can make something to remember this moment. a lampshade is created using an aluminum mesh for its base as a heat sink and felted Parker (yup, that's my puppy's name) fur for a soft illuminating quality. make shift shelter is the debut project of Studio Hi Thanks Bye. 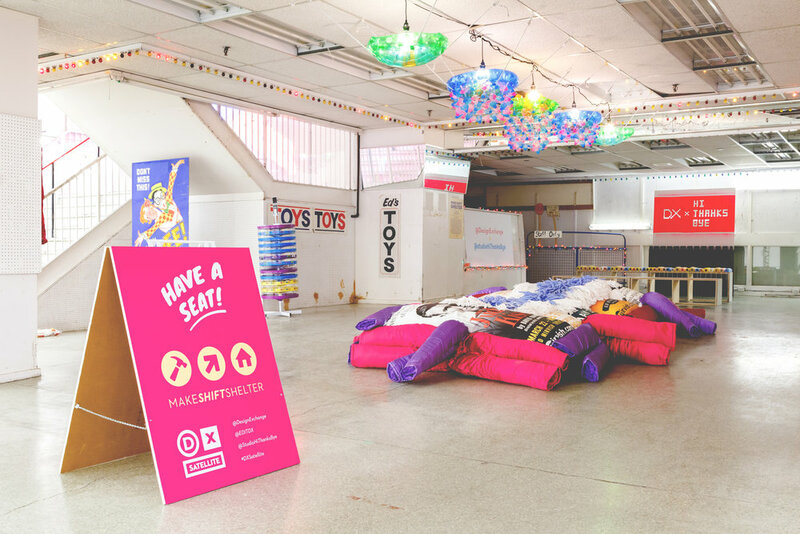 we collaborated with DesignExchange and Centre for Social Innovation to design a lounge space for toronto's landmark - Honest Ed's farewell party. the 900 sq ft space is restocked with functional furniture and deco pieces created with products and goods which we collected before Honest Ed's closure.